Though our story ends with a sky-high swirl of Cashew Rocky Road frozen yogurt, it doesn’t begin there. I just want you to know where we’re heading. Some of us spend a long time figuring out our real, true passions. If you’re one of us, you’re not alone. 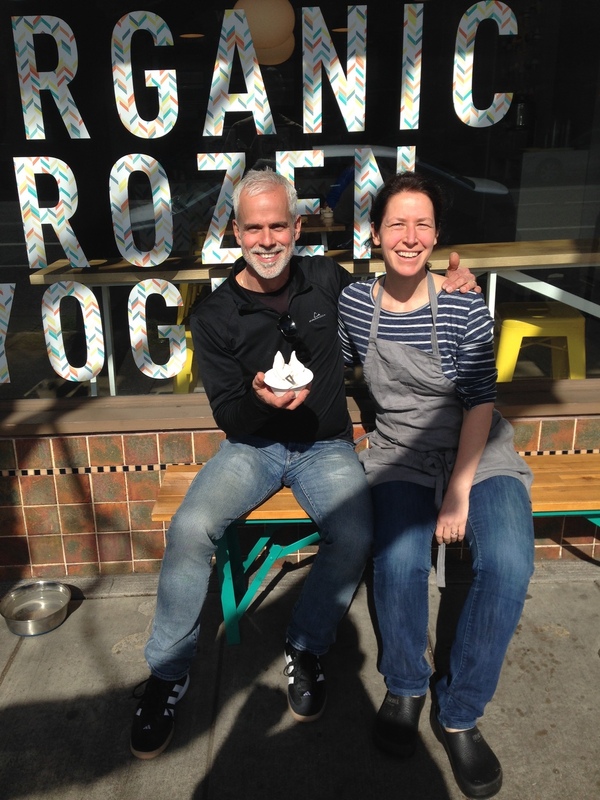 Elizabeth Nathan, founder of the nine-month old premium frozen yogurt shop Eb & Bean in Portland, Oregon, took a circuitous route to herself. A former marketing professional at a San Francisco publishing house, Nathan had long been interested in food and cooking – but this love didn’t have an obvious, or particularly well-directed, outlet. “As much as I had this real passion,” she says, “I had a distinct understanding of the space between my interest in food and the reality of working in a restaurant.” So she kept her publishing job. This space lessened somewhat in 2011 when Nathan, her husband, and the couple’s then toddler son Eben (the future shop’s namesake along with his now two-year-old sister Sabine) had an opportunity to spend six months in Paris. Nathan began researching culinary options in the City of Lights and enrolled at the Ecole Gastronomique Bellouet Conseil, a pastry school in the 15th arrondissement. While she still wasn’t 100 percent clear what this new venture would represent for her careerwise, she embraced serendipity and threw herself fully into the program. Because Portland was already home to a thriving artisanal ice cream scene (thanks to local favorite Salt & Straw), Nathan turned her sights on frozen yogurt. 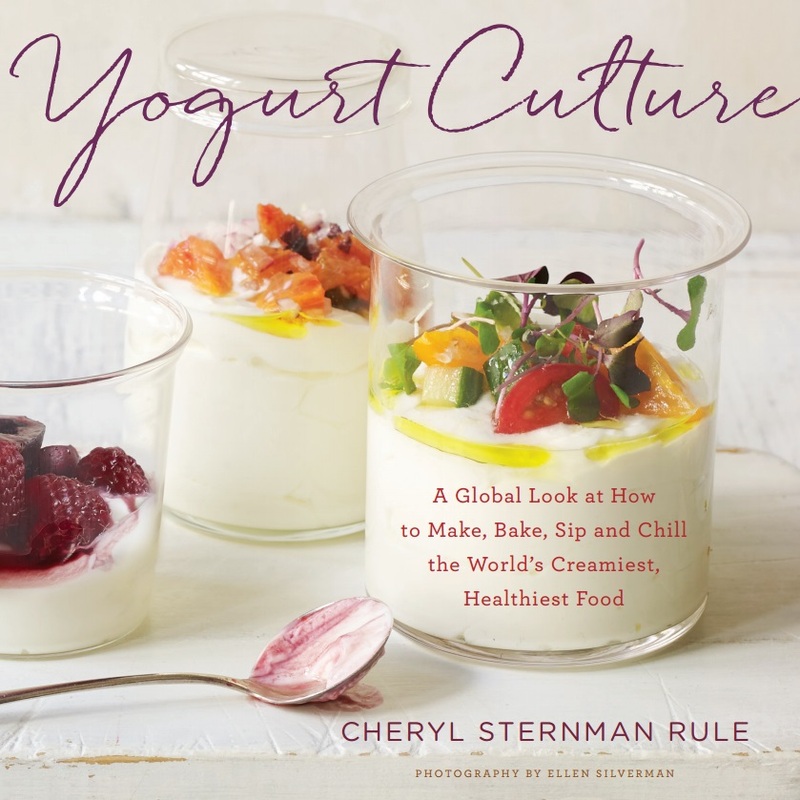 She realized quickly that many of the frozen yogurt shops not just in Oregon but across the U.S. sourced the same premixed product from the same vendor (a ready-to-use liquid base from Dannon’s Yo Cream line), and she was committed to offering something different. Nathan pauses, adding that while improving the food system is certainly important to her, her dairy sourcing is driven most by quality and flavor. In other words, she’s not trying to be a hero. She’s just trying to create a superior product. And what a product. I had an opportunity to pop into Eb & Bean while traveling throughout Oregon with my family last summer. The shop had only been open for about 6 weeks, but we didn’t notice any kinks. What we did notice was how tall the creamy swirls of pistachio frozen yogurt stood in the cups, how bright the marionberry compote felt on our tongues, how beautifully the Bakeshop oat streusel tied the other elements together. That streusel comes from the kitchen of Kim Boyce, the James Beard award-winning author of Good to the Grain and the owner of Bakeshop, a thriving pastry shop in northeastern Portland. It was Boyce who’d told me to check out Eb & Bean while I was in town. Nathan features Boyce’s creations on her menu, and calls them out by name as a way to celebrate not just a purveyor, but a fellow entrepreneurial businesswoman. That’s why the streusel I enjoyed wasn’t just oat streusel; it was Bakeshop oat streusel. Nathan also ran a Lady Grey frozen yogurt flavored with leaves from local tea artisan Teri Gelber’s small batch teashop and features honey from local beekeeper Tim Wessels. I ask Nathan what she’s learned as the anniversary of her first her in business approaches this June. What’s coming up for Eb & Bean? More innovative flavors, of course. Not content to recycle what’s already proven popular (like a nondairy Linzer cookie frozen yogurt with nutmeg, cinnamon, clove, hazelnut paste and raspberry jam), but new flavors, too. On tap for spring: a Bakeshop graham cracker frozen yogurt featuring Kim Boyce’s cookies, plus a cashew rocky road fro yo with fresh cashew butter and Bakeshop marshmallow sauce. I told you we’d get there.